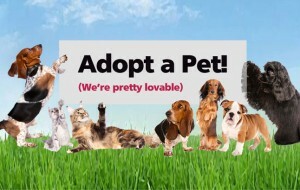 Wishbone/Allegan Shelter Adoption Events – Usually held every Saturday – visit page or view the Events Calendar below for locations and info. Wish Upon a Bone Pet Food Pantry – 2nd and 3rd Saturday of the month – visit page or view the Events Calendar below for locations and info. Wishbone Pet Rescue Alliance relies on donations from supporters like you. Every dollar helps! We are a 501(c)3 organization. Learn more about donating online, contributing to the Second Chance Fund or the Bravo Fund, donating gently used items to Wishbone House (our resale thrift shop in Douglas) or buying tickets to an event benefiting Wishbone.